Ancient history hits you right in the face when you visit Heraklion. This city, the capital of Crete, lies on the north coast of the big island. Stroll along the old harbor, visit the local market, the beautiful Morosini fountain and the special churches Agios Titos and Agios Minas. From this city you can catch a bus to the best destinations on the island of Crete. An ideal starting point for your stay in Greece! The average price for a flight to Heraklion is £ 272. The month with the cheapest flight to Heraklion is October. The most frequently chosen airline on Budgetair.co.uk for a flight to Heraklion is Aegean Airlines. There are various airports that offer flights to Heraklion. The cheap flights are from Edinburgh. The average price for a last minute flight to Heraklion is £ 268. The most popular airline for the last minute flights to Heraklion on Budgetair is Aegean Airlines. The month with the cheapest last minute flight to Heraklion is June. There are various airports that offer last minute flights to Heraklion. The cheapest last minute flights are from Manchester. The average price of a direct flight is £ 213. Direct flights cost approximatly 18% more than stop-over flights. How much does Heraklion cost? If you are planning a trip to Heraklion you may want to know how much Heraklion is going to cost you. Check below average expenses on meals, clothes, transport and more to get an idea what your budget should be! Do you want to know when is the best period to fly to Heraklion? Here below you can find average temperature and level of precipitation for every month. 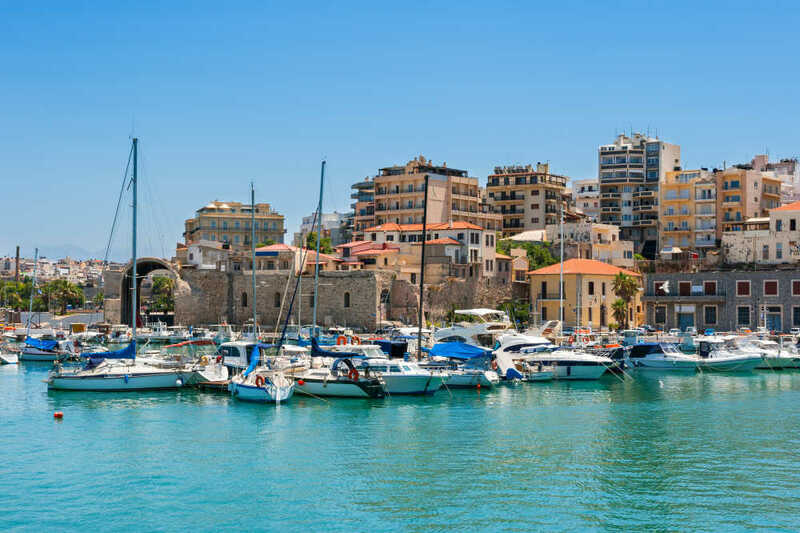 Booking your cheap flights to Heraklion with BudgetAir.co.uk ensures a safe, reliable and easy way to plan your trip. With our easy to use website, safe booking system and a large selection of hotels to choose from, you won't have to worry about a thing when you choose to book your holiday with Budgetair.co.uk.